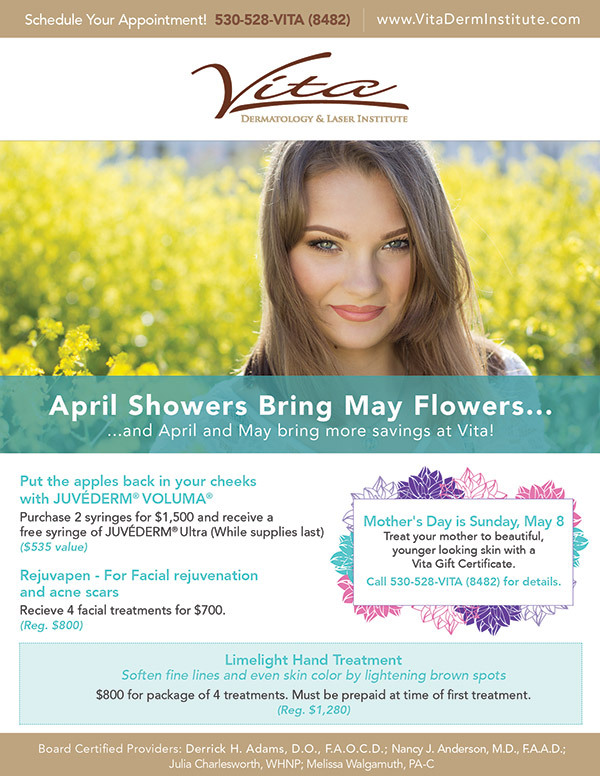 …and April and May bring more savings at Vita! Offer ends May 31st, 2016. Soften fine lines and even skin color by lightening brown spots. Rejuvapen reduces fine lines & wrinkles, lifts & tightens skin, minimizes pore size, improves the appearance of stretch marks, improves the appearance of scars and acne scarring.